This is one of my favorite linky parties: What I'm Pinning Wednesday! Head over to Kinder Kraziness to join the fun! 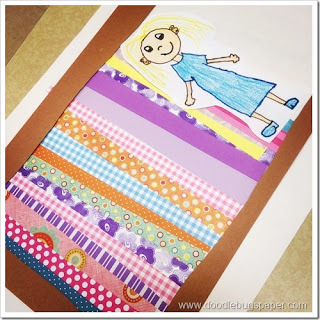 My first item that I am pinning today comes from Doodle Bugs Teaching. You NEED to go over and look at the post. She introduced Fairy Tales by reading The Princess and the Pea. My favorite part is how they made these cute beds out of scrap booking paper! I'm obsessed!! Next is this image of the adorable activities that Mrs. Plant's Press did with the book The Very Lonely Firefly! I love all of the activities she did! Miss Kindergarten (my new bestie) has two really cute activities up for Mother's Day and a treat for Daddy's too! Go check it out and send her lots of love! :) There is a purse for the moms and a suitcase for the dads, they have a writing response inside! Chalk Talk posted a couple days ago about a lemonade activity in which the students talk about how to make lemonade and talk about what to do when "life gives you lemons"....I want to do this with my class! I also L.O.V.E. 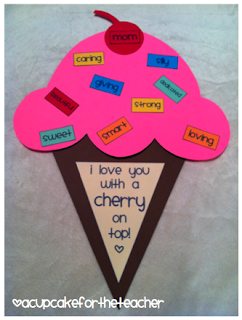 A Cupcake for the Teacher's Mother's Day craft..."I love you with a cherry on top!" I hope you all are enjoying your Spring Break (like me), or enjoying :) your first week back from Spring Break! Thanks for the shout out girl!!!! 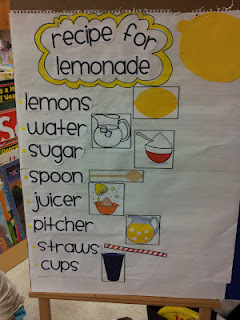 I also want to do that lemonade activity with my class... too cute!! awwwww!! thank you!! always fun to see someone post something about you when you least expect it! Thanks for sending me so many page views!!! You're the best!